This is exactly the kind of format I was looking for. 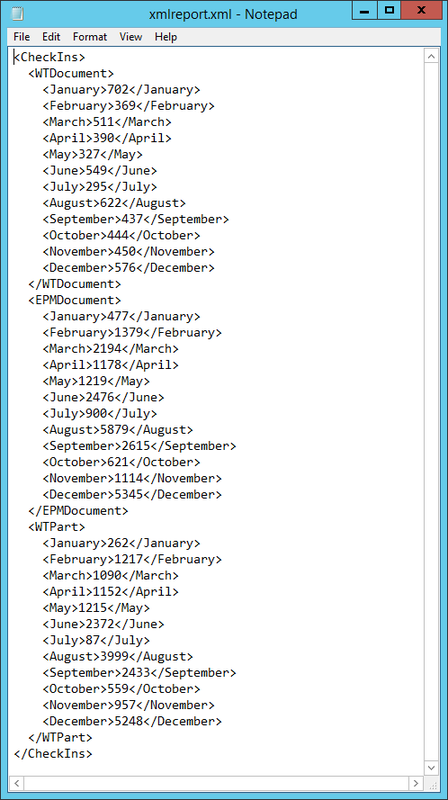 Now it is just a matter of extending the code to include the monthly data from the initial query. 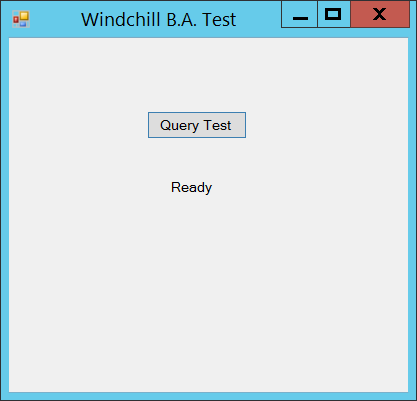 Take a look at a few things that needed to be changed for the query to work. 1. I had to replace all " with "". Otherwise, you get a error from Oracle. Do NOT replace " with '. That will not work. 2. I had to remove the space between Object Type. I chose to replace it with _ to make it easy to read. ​3. In the while loop, I used the colNames variable to get the custom column names I created so I can make nodes from them. Thanks to the stackoverflow people for the simple example. ​4. I moved the root node creation out of the while loop as I am now working with more than one row in my results and did not want it to overwrite any data. Running the code to include all months and all three object types. 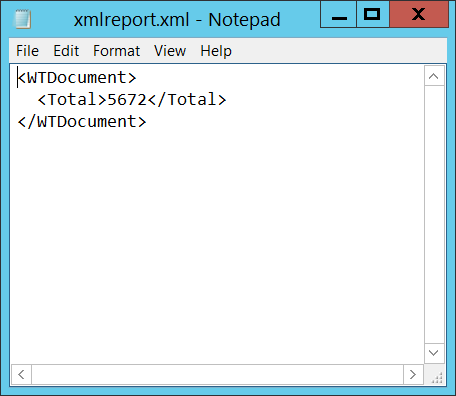 I now get the following XML document. Very clean and simple. This is data that will be simple to work with when displaying to the user.